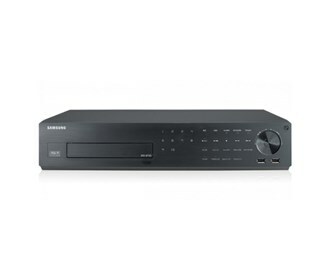 The Samsung SRD-873D is a H.264 Digital Video Recorder which offers Full HD 1080p HDMI video out and support for 650TV lines analog cameras with a sleek touch sensitive front panel. The new SRD-873D DVR still retains the familiar and easy to use graphical interface, smartphone support, coaxitron, tampering detection, and E-mail alerts. It supports real-time, 30/25 frames per second recording and playback at 960 x 480 resolution over all channels. Network bandwidth has also been increased for robust remote viewing at high resolutions. The Samsung SRD-873D-500 has many exciting features for users of all types. See the Samsung SRD-873D-500 gallery images above for more product views. The Samsung SRD-873D-500 is sold as a Brand New Unopened Item.